Reconstructing masque for damaged hair and over-processed hair. Masque Force Architecte Travel-Size Hair Mask is rated 4.3 out of 5 by 87. 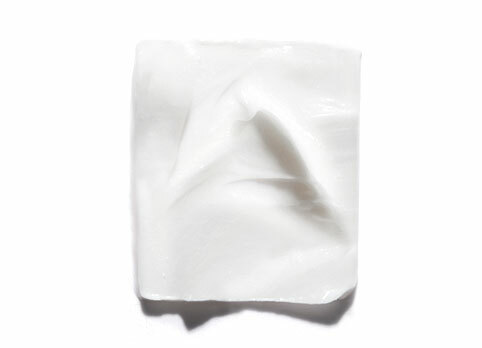 Apply a quarter size amount of Masque Force Architecte to wet hair, working from mid-length to ends. Leave on for 5-10 minutes, then rinse. Can be used daily. Reconstructing masque for brittle, damaged hair at erosion levels 1-2. Provides instant detangling and lightweight conditioning. Rebuilds and strengthens the hair fiber. Each fiber is reconstructed, revitalized, shiny, and smooth. Hair is completely reconstructed from inside out. Helps prevent breakage and split ends. Rated 5 out of 5 by Jane Bond from Gorgeous, shiny locks! Gives my hair body, too! So, I recently review a couple of products from the Resistance line by Kerastase. I have purchased the Bain Thérapiste Shampoo, Fondant Extentioniste Conditioner, Ciment Thermique Blow Dry Primer (a must have before applying heat), the Initialiste scalp therapy, and the Fondant Extentioniste Conditioner. Please note, I have only been using Kerastase products for less than a week. My hair is very thick, wavy-to-curly, color-treated, balayage hightlighted, and had damage to the ends (split ends), and was dry and brittle. I decided to make the investment in the resistance collection after my hairdresser told me the benefits of Kerastase. The online Kerastase diagnostic tool recommended this specific mask for my hair type. Results: This was my second wash using Kerastase products. The very first wash (the Bain Thérapiste Shampoo + Fondant Extentioniste Conditioner + Ciment Thermique pre-heat styling) left my hair looking as if I had a Brazilian blowout and left me with salon results transforming my dry hair into pure gloss. While I loved the result of the first shampoo, the result was overly smoothed and slightly weighted down (not in a bad way). I could not believe how much my hair transformed after one use! Now, onto the Force Architecte mask: For my second wash, I decided to combine the Bain Therapiste shampoo and used the Masque Force Architecte as my 5 minute conditioner. After conditioning, I washed out the product and squeezed out excess water. I then applied a 4-5 pipettes of the initialiste to my scalp and then applied the ciment thermique before blow-drying. I felt that the mask conditioning didn't weigh down my hair as much like the other combo had once I started to blow drying my hair. The end result is similar to the first shampoo, but I found this conditioner left my hair with a lot of gloss and more volume/body. I have since purchased the extenioniste shampoo since I am trying to grow out my already long hair and purchased the travel sized extentioniste mask to see what the difference might be, or perhaps to see if using all of the same extentioniste product from the resistance line benefits my hair better! So far, I am pleased with my experience. I am a Kerastase convert! Rated 5 out of 5 by Vida88 from Smells heavenly I have been using Kerastase for 10 years now. Usually Nutritive line. Now that I’m older with my color treatments and heat styling years under my belt, the repair line maybe a good alternative to try. I massage mask in my hair, check emails then rinse off. It’s does wonders and smells divine. Rated 5 out of 5 by Julia in Tennessee from Hair Repaired! Received this as a sample. Used it immediately on my damaged, fried, shoulder length, blonde hair. I had instant results - after using - my hair appears healthy, feels soft, has movement, has shine, and no longer looks or feels like "straw"....I cannot be without this product now! Even my husband commented how pretty my hair was after using this awesome masque. 10 stars if I could give it 10 stars! Rated 4 out of 5 by MarinaC from Soft hair Kerastase resistance smells amazing! Like fresh apples and made my hair smell the same. This cream does work, my hair feels a lot softer. I received the product free from Influenster, but these opinions are my own. Rated 3 out of 5 by Alex1910 from Good mask I thought this was a pretty good hair mask. It had a different consistency so I felt like I needed to use quite a bit of product. I didn't notice a huge difference but I do think my hair is soft after using it and hopefully it's helping to fix some of the damage that I have in my hair. Overall it's a good product but I have also tried other masks that I like more. I received this product free for testing purposes. Rated 5 out of 5 by sarahellen02 from Great Product! I have to be extra cautious with conditioners of any type because my hair is so fine and can weigh down easily. This product didn't make my hair greasy, but instead, smooth and shiny. I felt as if my hair was healthier (stronger) after using the product as well. I received this product free from Influenster, but these opinions are my own. Rated 5 out of 5 by Paopao from In love with Kerastase I have long, curly and abundant hair so I'm always looking for high quality hair products to try. And I must confess that this masque is one of the best I have ever used. Since the first time my hair was smoother and softer than ever! I definitely would recommend this product to anyone who is trying to grow an healthy hair. I received this product free for testing purposes from Influenster. Bain Force Architecte Travel-Size Shampoo Repairing shampoo for damaged hair.